Use Lock Poker bonus code "THEFUTURE"
To earn your bonus at Lock simply play poker and earn VIP Points. When you earn 84 VIP points $5 of your bonus will released into your real money account. 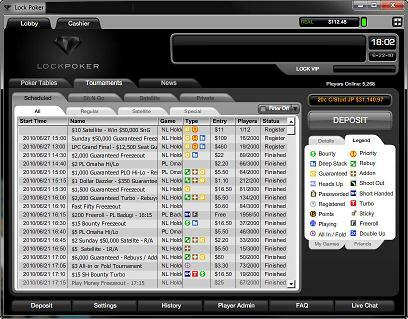 At Lock you earn 7 VIP points for every $1 of tournament fee's paid and 1 point for every $1 of rake generated. Doing the math that equals earning $1 of your bonus for just $2.38 paid in fee's making it the easiest poker bonus to earn. Sign up at Lock Poker and use bonuscode "THEFUTURE" when you make your first deposit. 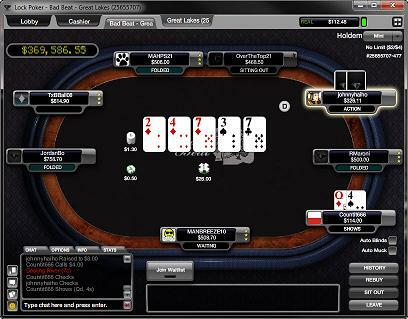 See the Lock Poker review for more details or get started now.